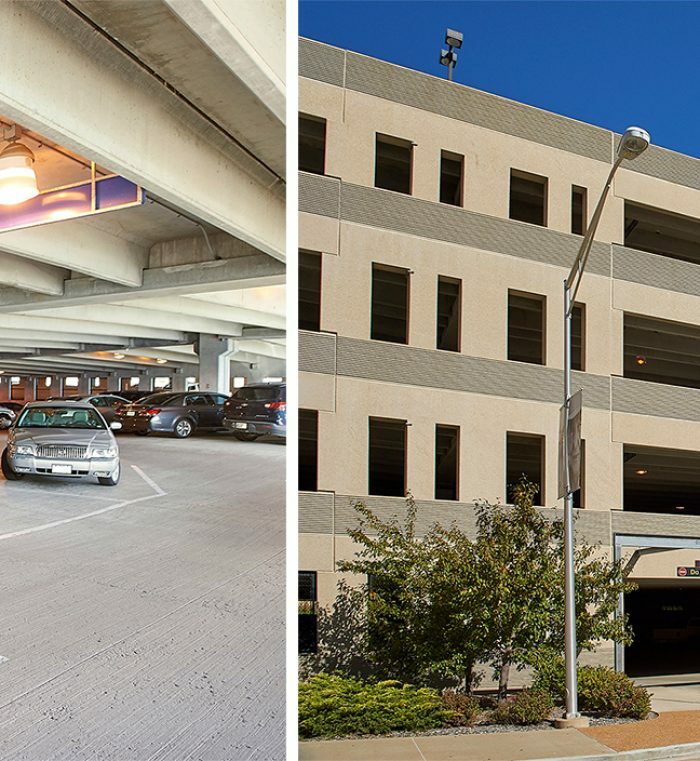 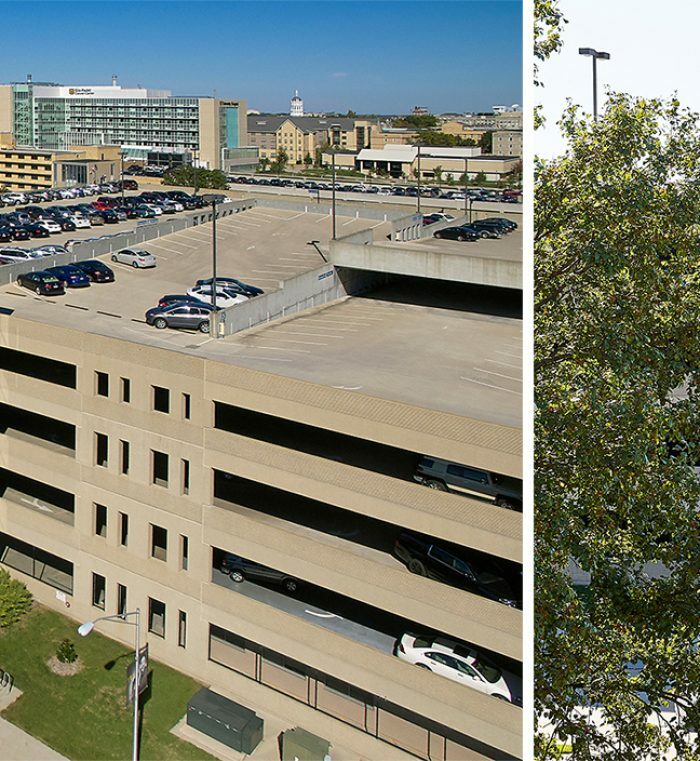 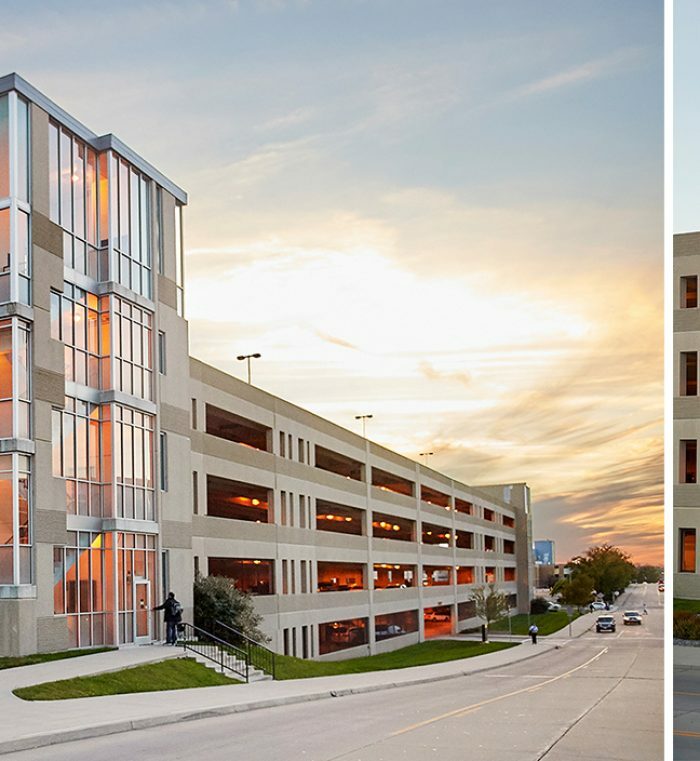 WALKER worked with the University of Missouri to design a parking structure that serves the University Hospital as well as students and staff and provides parking for special events. 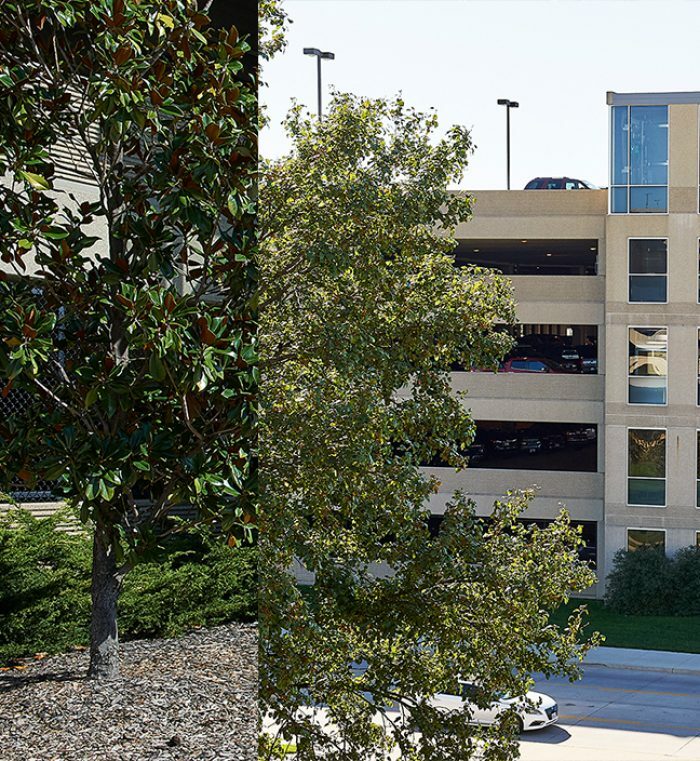 The structure was designed to establish an identity of its own, while complementing the aesthetic of the surrounding campus. 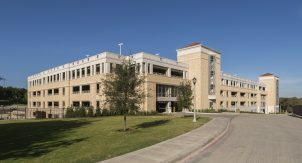 The precast, pre-stressed concrete structure provides 2,060 spaces on 5 levels and includes entry and exit points on the north and south at ground level and an entry on the east side at the second level.